Tisbury selectmen Tuesday heard some harsh words from the harbormaster about DPW maintenance. 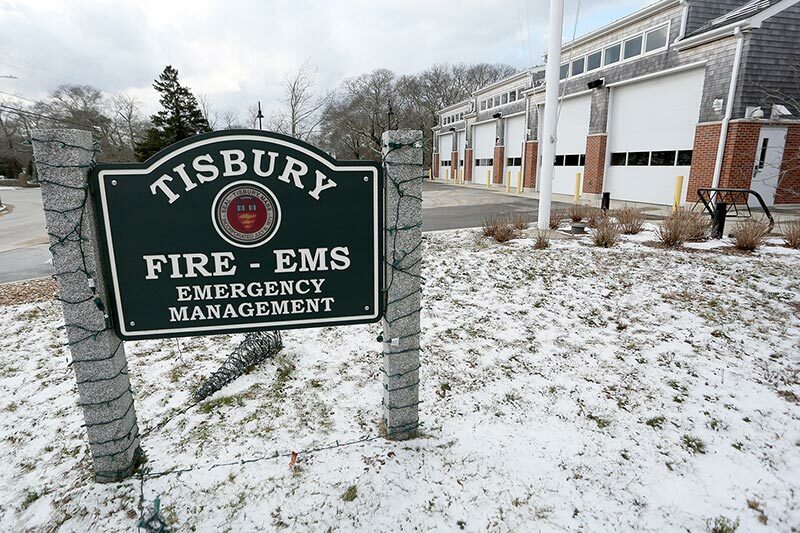 On the recommendation of Tisbury Fire Chief John Schilling, Tisbury selectmen Tuesday approved the appointment of Lieutenant Joseph Tierney Jr. to assistant fire chief. He will replace longtime Assistant Chief Russell Maciel, who along with Captain Daniel Feeney announced his retirement. Chief Schilling praised Lieutenant Tierney’s qualifications, noting he was the department’s training officer and oversaw the construction of the town’s new emergency-services facility. “No matter what he became involved with, Joe would quickly rise to the top with a combination of commitment, dedication, and hard work,” Chief Schilling said. Lieutenant Tierney was sworn in before the audience and selectmen by town clerk Hillary Conklin. Selectman chairman Jonathan Snyder presented Captain Feeney and Assistant Chief Maciel with commemorative plaques honoring their years of service. Chief Schilling described Maciel as “dependable, humble, loyal, and above all else, dedicated.” Citing a succession of Maciel family members in captain’s positions since 1968, the chief fondly described the fire department’s ladder company as a Maciel family business that Russell Maciel happened to join in 1970. “It was an honor to serve this town and the chief,” Captain Feeney said. All three firefighters received a standing ovation, and shook hands with the selectmen and several members of the Tisbury Fire Department, who formed a line to congratulate them. It was not all smiles Tuesday night. Town Harbormaster Jay Wilbur expressed frustration with the town department of public works for what he said was a failure to address dockside property in need of repair. Mr. Wilbur requested a boost in harbor-department funding for a part-time staffer, who he said could do what the DPW was not doing. In other business, assistant to the town administrator Aase Jones said she was inundated with meeting minutes, and requested the selectmen consider funding to properly archive them. Selectmen considered options, which included binding the minutes and digital records. After some discussion, selectmen agreed that the issue of data storage deserved further study.